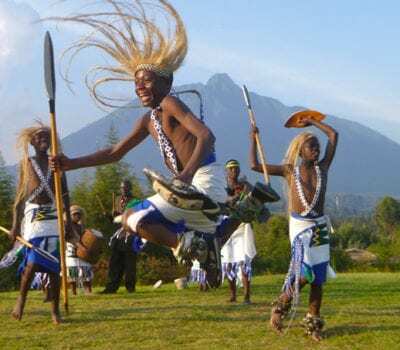 Rwanda Holidays/Rwanda Safaris / Rwanda Tours / Trips in Rwanda/ Gorilla trekking in Rwanda/ Visit Rwanda. 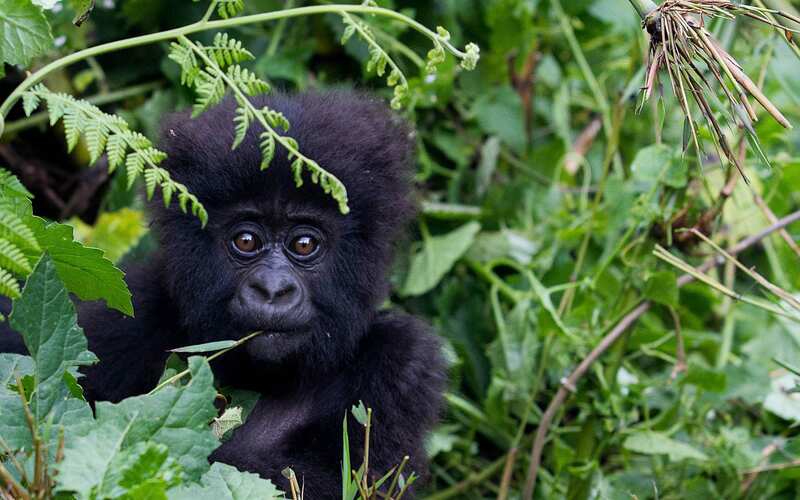 The world flocks to Rwanda just for gorilla safaris in addition to their South African or Kenya and Tanzania Safari. Yet the country has a lot more to offer on a Rwanda safaris holiday. Rwanda has three national parks, a vibrant and clean City Kigali, diverse wildlife and picturesque mountain scenery because of its meandering hills. 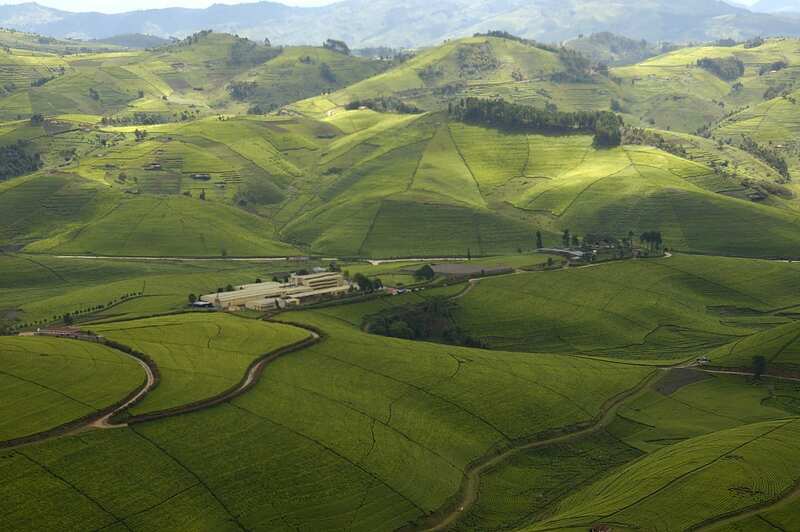 No wonder Rwanda is also called the land of a thousand hills. Yes, we all agree that in 1994, Rwanda was faced with a genocide in which over a million people died. Today Rwanda is a vibrant and the fastest growing economy in Africa. All countries, have a history but the present is what matters, and Rwanda is now united with people who are welcoming to their visitors be it for Business or for Rwanda safaris. The most famous park for Rwanda safari holidays is the Volcanoes national park in the north-western part of the country. The park is frequented because of its residents the mountain gorillas. Gorilla trekking in Rwanda is the most sought after activity in the country. 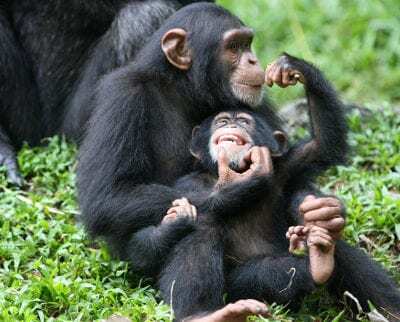 However there are other parks that tourist can consider visiting and these are Akagera National park in the east and Nyungwe National park in the South. 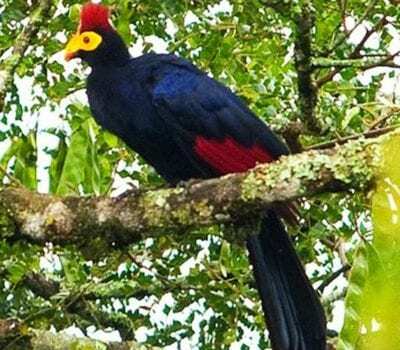 Nyungwe forest National Park is known to be the oldest tropical forest in Africa. Nyungwe park is home to a great number of primates including chimpanzees and the black and white colobus monkeys. 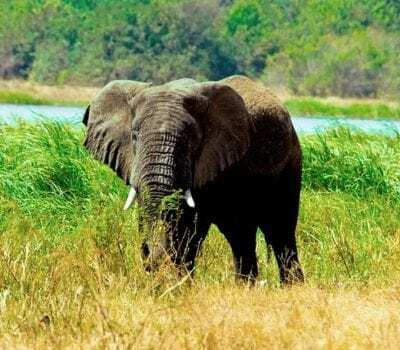 Contrast to Nyungwe, Akagera national park is the only park in Rwanda where one can do safaris, with opportunities of viewing animals in a jeep. Despite the low numbers of animals compared to Kenya, Akagera offers excellent sceneries that are worth the 2 hour drive from Kigali. Mountain gorilla tracking in Rwanda is the ultimate wildlife experience that a person visiting the land of a thousand hills shouldn’t miss out on. Mountain gorillas currently are 1,000 in number as of the census that took place in 2017 and these are divided between three countries, that is Rwanda, Uganda and DR.Congo. Rwanda is known to be home to part of these mountain gorillas and there are about 15 Gorilla Family’s to visit per day. The existence of over 1000 individual gorillas, is the proof of Africa’s greatest conservation stories that has been aided by tourism. This is in relation to the time when Dian Fossey first made the world aware of the existences of these great giant primates. In the 1960’s there were only 250 mountain gorillas left. Mountain gorilla trekking permits aren’t cheap at all, but the experience is worth every coin. In Rwanda today mountain gorilla trekking permits costs USD 1,500 per person. Part of the proceeds go back to the local communities that protect the forests and home of these gentle giants. Below are some of the sample Rwanda gorilla trekking safaris. 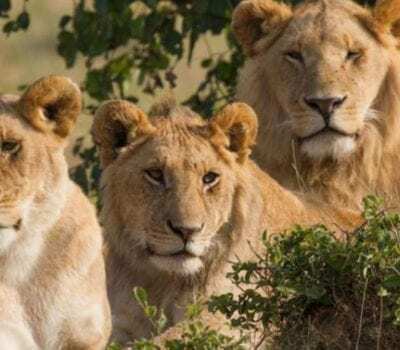 Best time to visit Rwanda for a Rwanda safari. Trips in Rwanda are possible anytime of the year. Although the most popular time of travel for gorilla trekking safaris is during the long dry season. This is between June and September and the short dry season is between December and February. Rwanda receives rains during March and May and during October and November. For those intending to track gorillas during the drier months of the year. Book your gorilla trip months in advance to ensure that you have gorilla permits. Visas to enter Rwanda for a Rwanda holiday. Rwanda visas can be obtained online or at the point of entry that is at airports and borders on arrival. We encourage our clients to apply for the visas online so as to save some time at the Boarder. There are different types of visas to include; the tourist single entry visa, or Multiple entry to mention but a few. We usually recommend our clients to obtain the single entry visa that costs USD 30 only if they are visiting Rwanda. However, if there are proceeding to other countries like the Uganda and Kenya, we recommend that they obtain the East African Tourists Visa that costs USD 100. With the bilateral relations that countries have, of course there are a number of country’s exempt from paying visa fees. Some of them are countries within the east African community, Benin, Haiti, Chad, Ghana, Seychelles, Sao tome, Mauritius, Guinea, Central African Republic, Indonesia, Philippines and Singapore. To obtain a visa, you require a valid travel document for at-least 6 months validity. You also need a certificate of immunisation against any epidemic disease at a time. Rwanda currently has excellent roads that have replaced the dirt old roads. It also has airstrips for those who would wish to fly from one place to another. 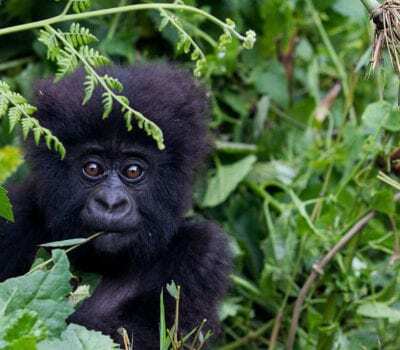 Charter flights are readily available to connect you to all major national parks including the mountain gorilla park. Notably, the best way to Rwanda’s countryside is by using 4 wheel drives with a driver. Getting around on self-drive is complicated. We recommend that you leave the driving to our specialists and relax and enjoy the countryside. Where to stay in Rwanda. Rwanda has a great number of hotels and lodge that can accommodate, you and your friends or Family. There are quite a number of them in the city and also closer to the national parks. The country has a a great number of luxury hotels. However, basic and moderate facilities are available for those with a budget for their Rwanda safari holiday. Tourists are advised that some hotels are new to the industry therefore services might not be to standard. However, what should matter is that you will have a great and awe inspiring experience during your Rwanda safaris.